But it seems Nigerians aren't really happy with our beloved president due to the fuel scarcity during this yuletide. Someone dug up a newspaper publication as at the time Mr Buhari was the country's petroleum minister. There was similar a situation to what the country is experiencing now. In the that publication by dailytimes Pres. 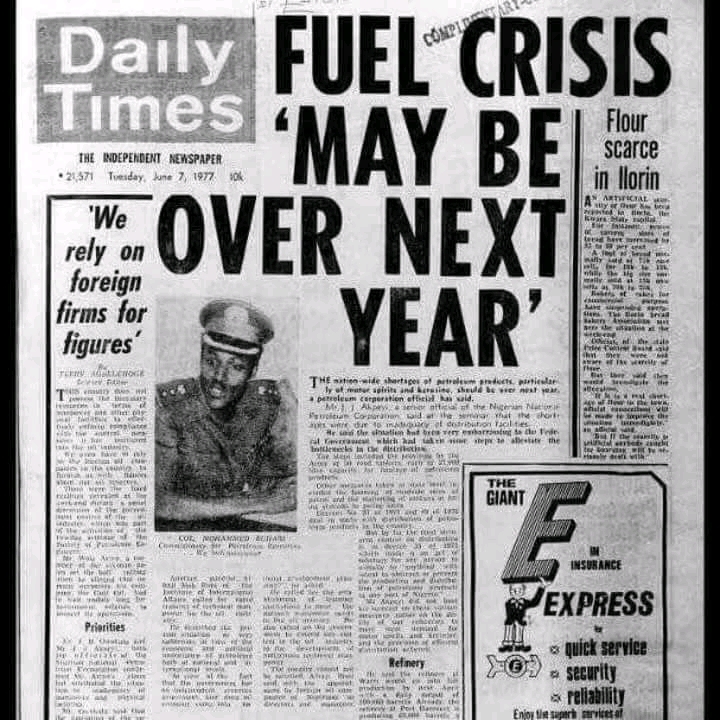 Buhari was quoted as saying: "Fuel crisis may be over next year-old Buhari"